The 15-month L train shutdown is scheduled for April 2019. The MTA's current plan for when the L train is down is to have shuttle buses do drop off on 15th street, in front of I.C.E. There would be an estimated 30-35 buses dropping off between 8:00am and 9:00am, which puts our neighborhood in jeopardy - that's a huge number of people crowding the neighborhood where 2 schools and a hospital are co-located. There are alternates to the plan where the bus turns left on 17th street. Below is the letter to send, cut, paste and add your name. 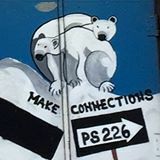 I am a parent of a child who attends the Institute for Collaborative Education at 345 E. 15 St, a building that houses 2 additional schools: HSHP and PS 226 in District 75. It is now public knowledge that there is a plan to create a bus stop for MTA shuttle buses in front of my child's school on 1st avenue and 15th street in Manhattan. It has come to our attention that due to the L train shutdown there will be thousands of people taking these buses and exiting directly adjacent to our school at the precise times when all children should be entering the building. Included in the 2,500 students are at least 75 young people with severe developmental disabilities. I am deeply concerned that this plan jeopardizes the safety of 2,500 children who attend this school and will create additional traffic and safety issues for the neighboring emergency room and hospital. Please know that as parents we are prepared to take all steps necessary to see that this plan is changed to ensure for the safety of ours and all of the children who attend school on this block. We are prepared to meet to discuss this, or communicate via alternative representation should we not hear about a change in plans immediately.